Rose gold is a fashion favorite and getting more popular every day! 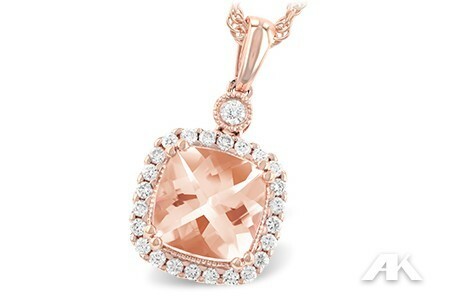 A cushion cut morganite is beautifully set amidst a halo of diamonds in this 14k rose gold pendant. Perfect for any special occasion!